I have too much time on my hands plus in my stash there are (3) P-40E’s that just sit there and scream at me. 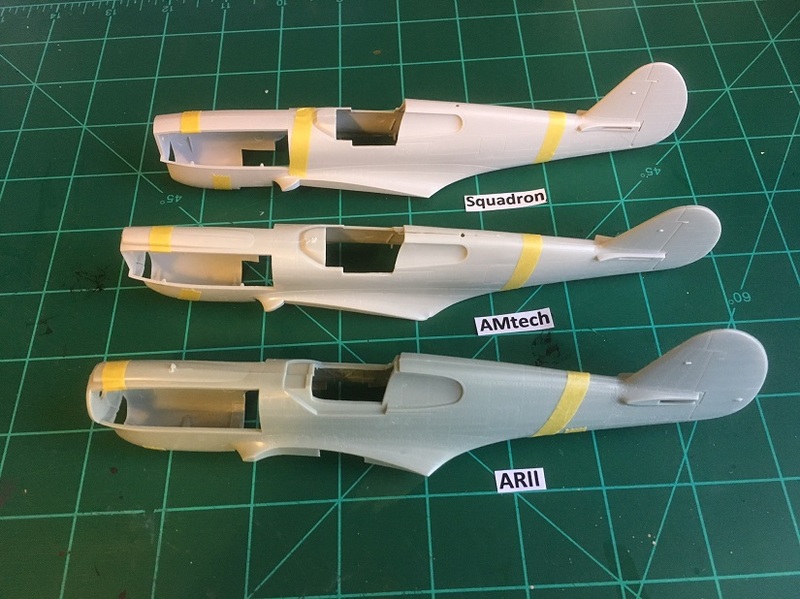 I had planned on building one for the P-40 campaign several years ago, but life got in the way and did not finish. 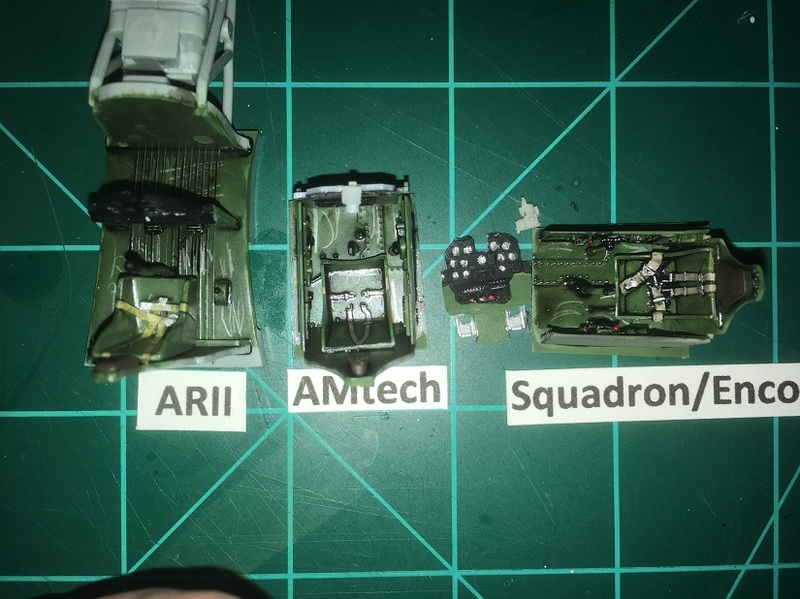 After some thought and needing to have something to fill my time while I wait for items to complete the campaign builds I have entered, I pulled those P-40E kits down and dusted them off. 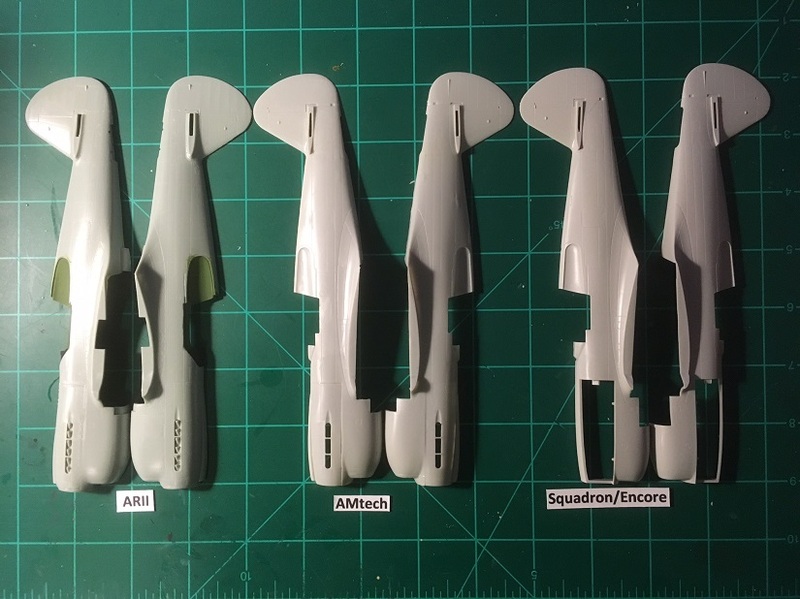 While I still have the brain freeze/idea, I thought that I would do my first comparison build of these (3) kits. 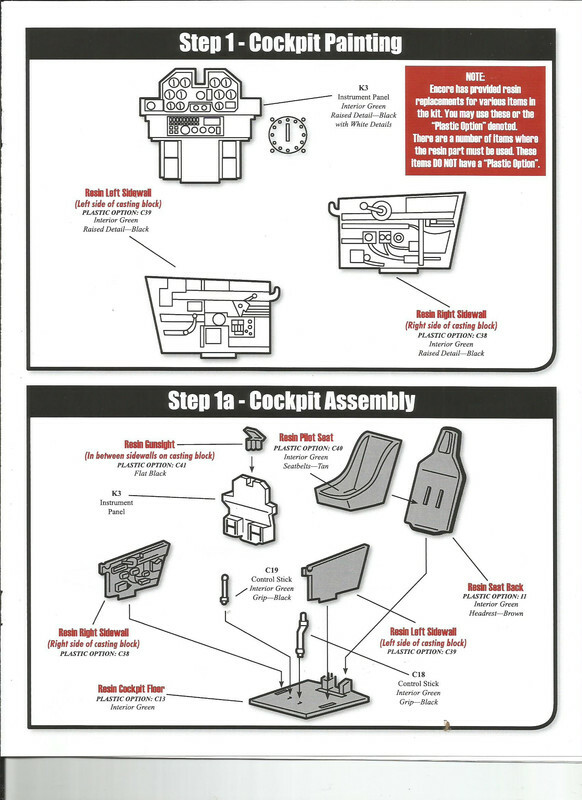 OK, I'm guessing that the AMTech kit is a reboxing of an older AMT/ESCI/ERTL offering. I'm familiar with the ARII kit, have a couple of it's cousins. But what's in the Squadron Box? Mark, it states that the Squadron is an Encore Models product. I'll be following along quietly in between studies. Since you are doing 3 Would you be open to doing at least 1 in RNZAF colours. 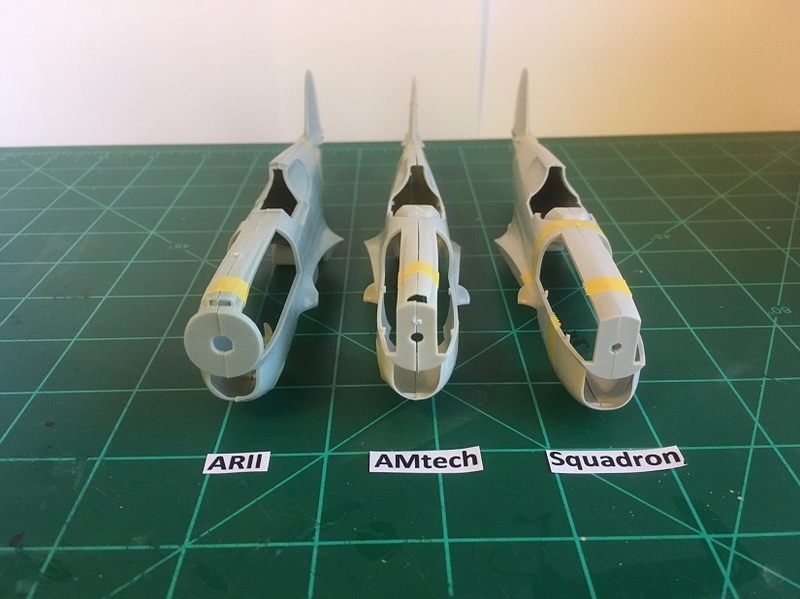 Money's on the arii going together easiest..
Chris, post your favorite RNZAF scheme and Ill make one in those colors. Richard, you may be correct, but time will tell. Ok! Ive started taking photos of the (3) different kits and have found some subtle differences. But it seems they all were influenced by one. Not sure if it was the Otaki / Arii or not. 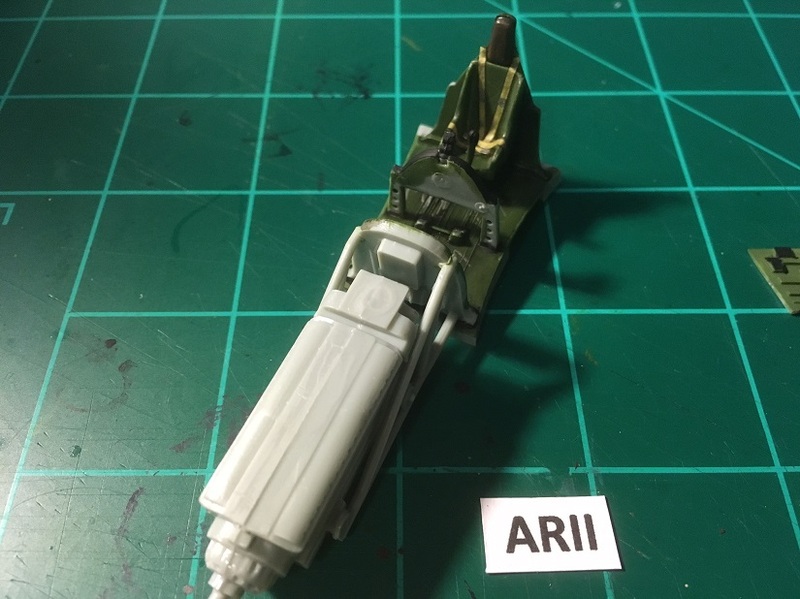 Otaki / Arii kit. While researching on Scalemates, they date this tooling from 1974. 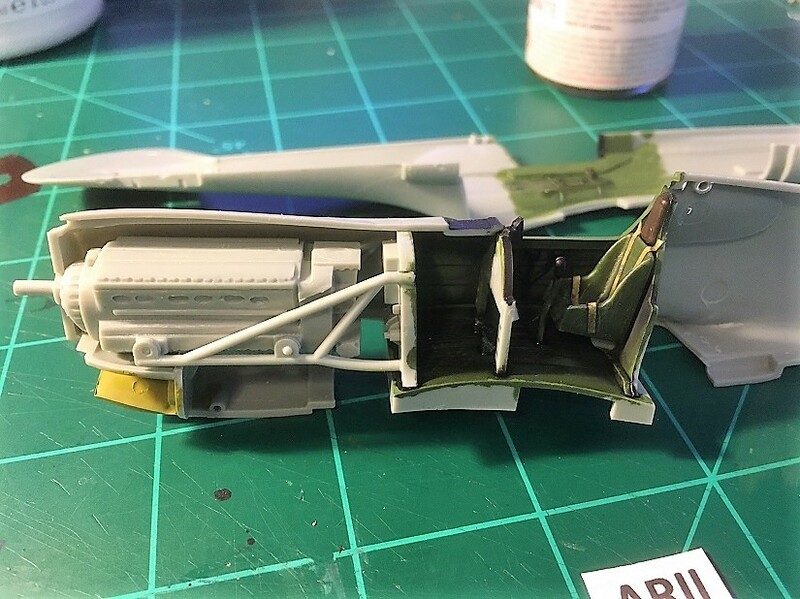 The fuselage had some round or bulbous of the rear window panel areas, the cross section at the seat/cockpit area seems to be not as wide as the other (2) kits. The plastic is thick and the surface detail while engraved is on the heavy side. The tail wheel area is not recessed. The cockpit has detail and the engine area has (2) large panels to be attached where the exhaust is installed. AMtech kit. 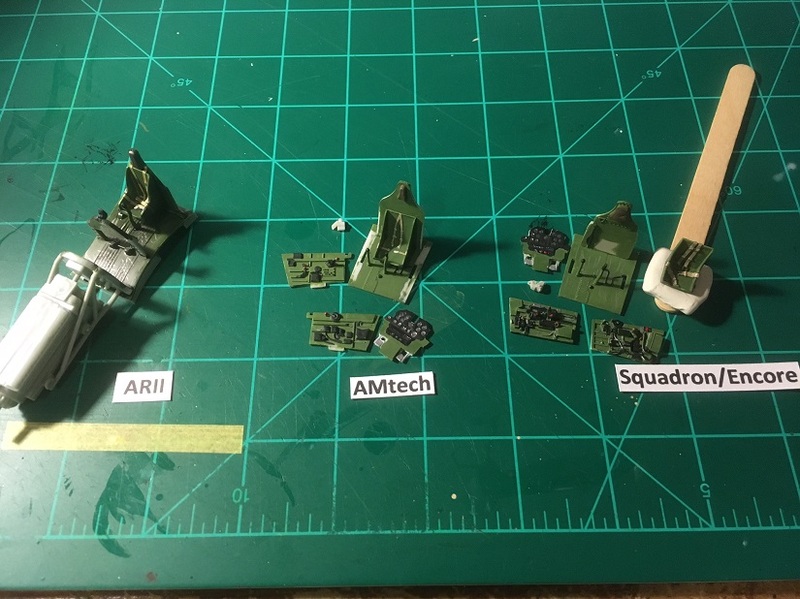 Again on Scalemates this is the AMT 1996 tooling with more parts. the fuselage is of similar construction as the Otaki. The cockpit cross section is wider but with office detail added as attachments the rear window panels are more angular and the correct shape. 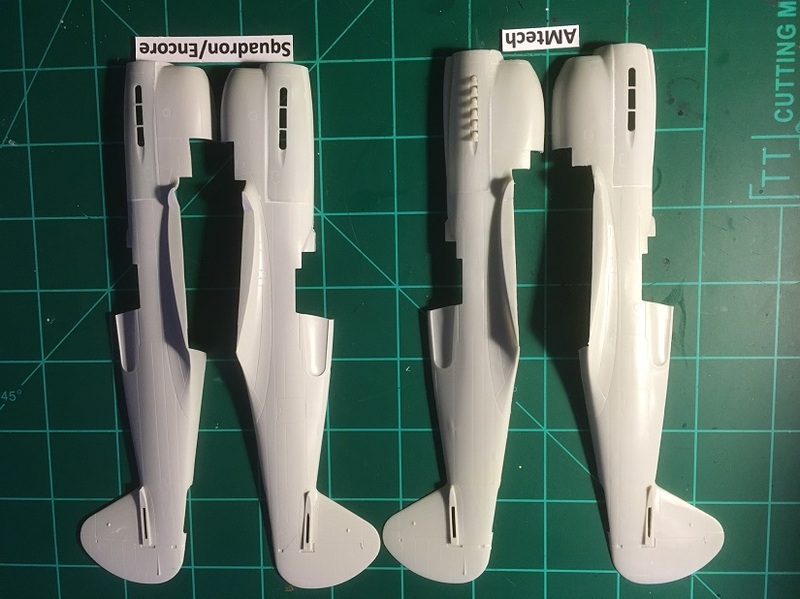 The tail wheel is recessed, the plastic seems to be thinner and more brittle. 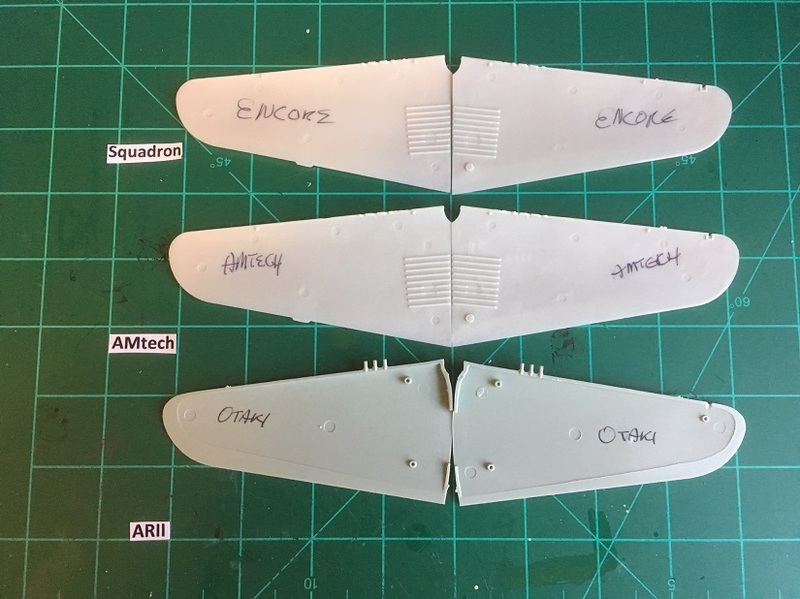 Squadron/Encore kit. 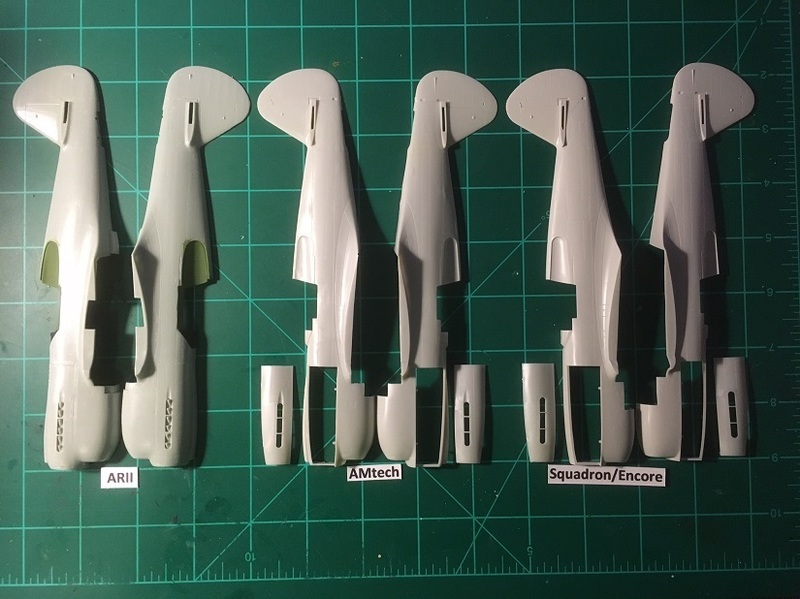 This is also the 1996 AMT tooling and after some further research, all three kits are decedents of the 1974 OTAKI tooling. 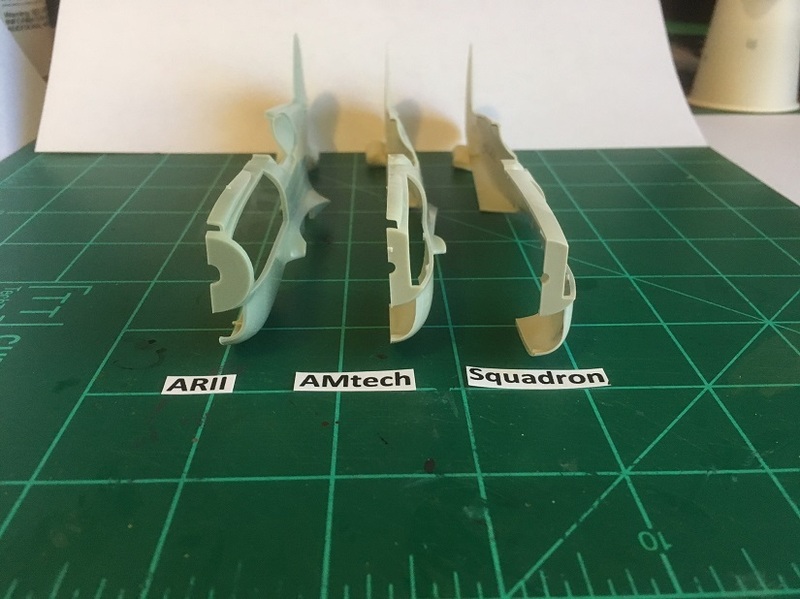 The fuselage is exactly the same as the AMtech except for the plastic being better quality. 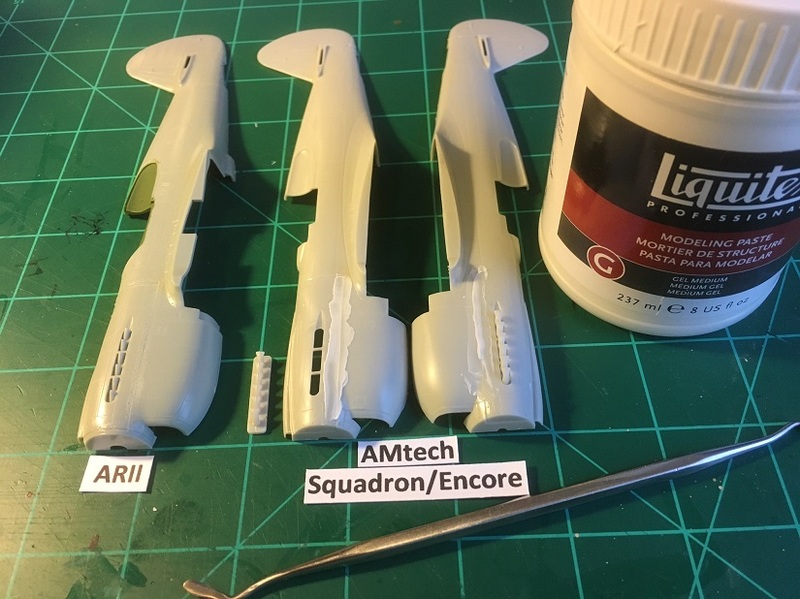 The one difference being the resin scoop added to the top on the engine area and the cockpit detail is all resin. Very interesting. Thanks for doing this. I will be following it sure. Just a little video for P-40 entertainment. Thanks for the comments guys, I thought that I should give back to the site since Ive taken for several years. 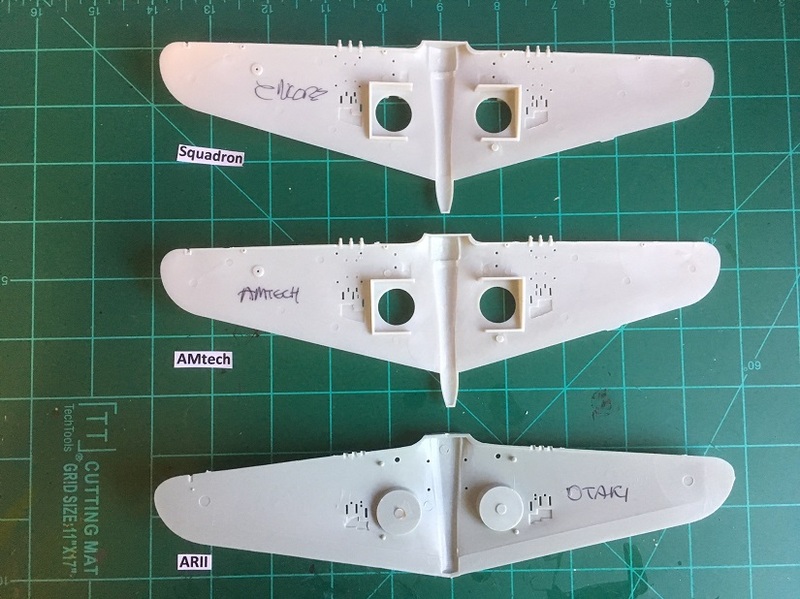 Otaki / Arii wing comes in (3) pieces, full bottom right and left top. The LG has a recessed round hole for the wheel to retract no LG well detail. 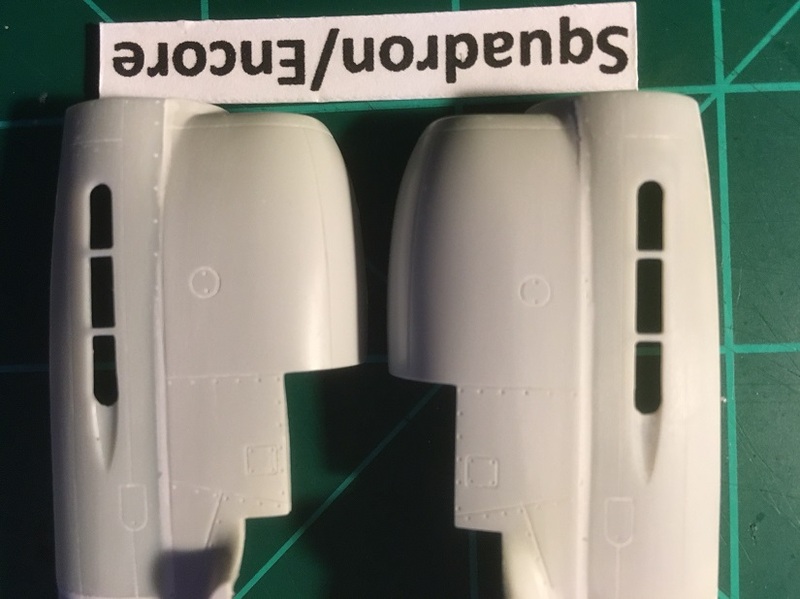 The LG doors and leg covers are attached to the wing, LG legs are simple but adequate. Tires are smooth tread balloon type, with a little work they should work just fine. 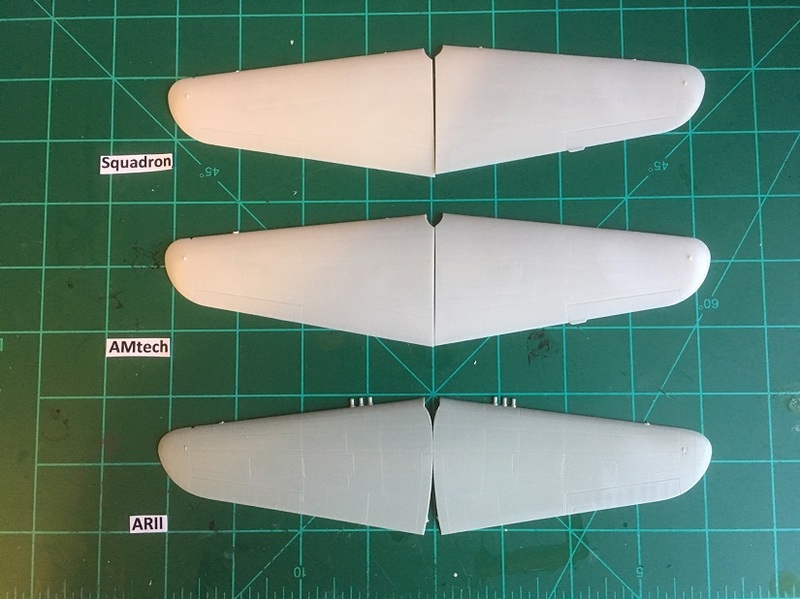 The (6) .50 are molded into the top wing and on the heavy side. With some shaving with the back of an Xacto blade they may be made to look better. 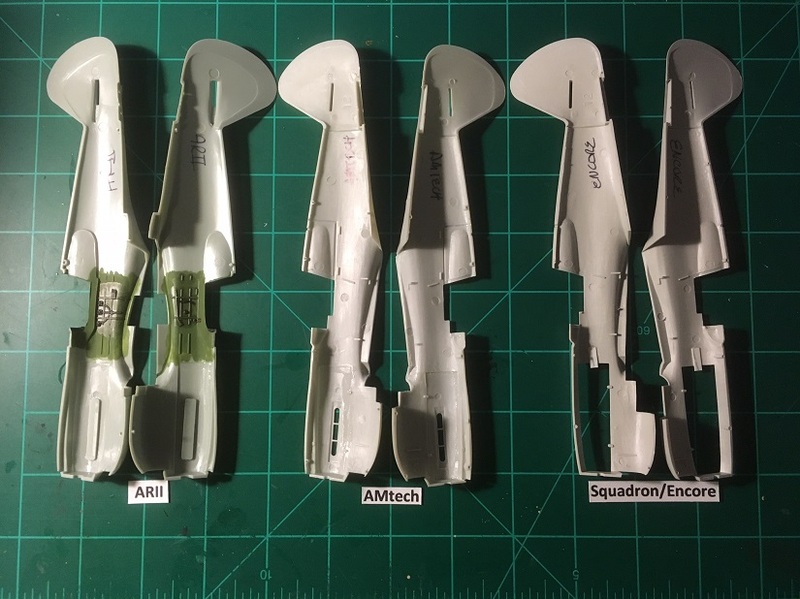 The bottom has shell ejector holes, access panels, flaps, and the aileron not done in a heavy line, but subtly. AMtech also comes in (3) pieces, full bottom right and left tops. The LG well is recessed and shows ribbing on top inside. LG legs are represented much better and with the proper angle. Wheels are same as the Otaki, smooth tread balloon type. 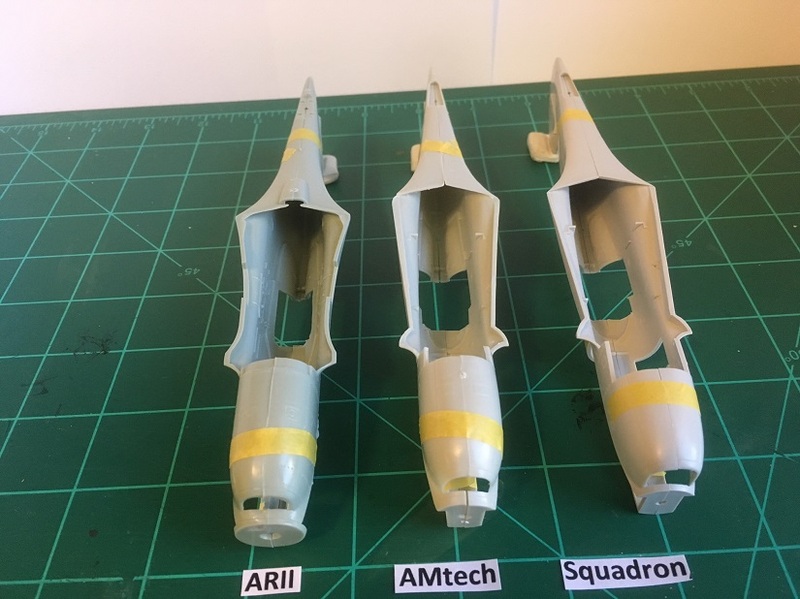 The (6) .50 guns are represented better as are the shell ejectors on the bottom wings. All panel lines are more realistic. 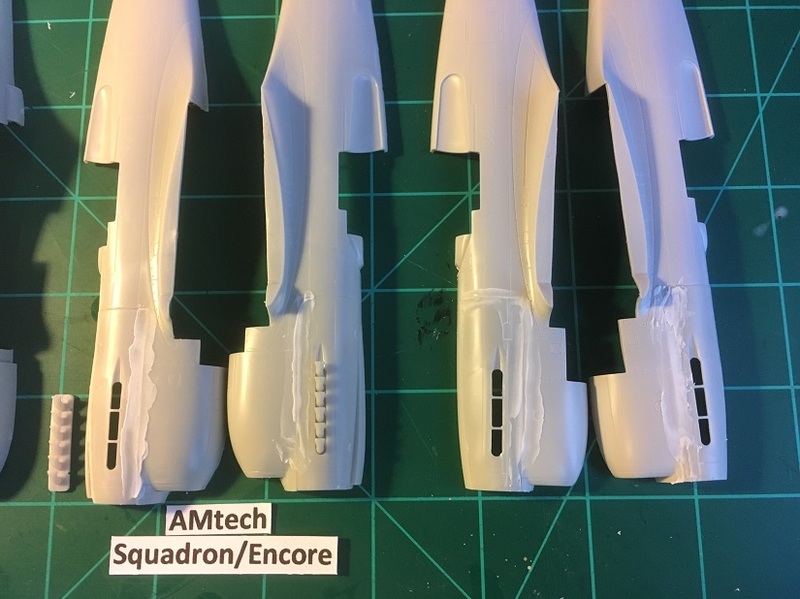 Squadron/Encore wing is the same as the AMtech only better plastic. You certainly have alot of irons in the fire! Just to keep me out of trouble, Jonathan. 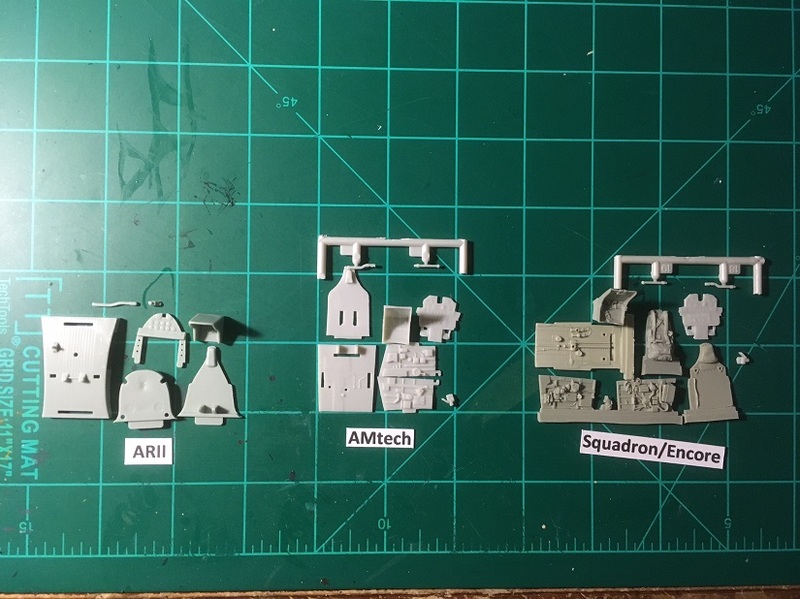 I checked the Squadron (Encore) version I have and it has ETRL right on the sprue trees. BTW, my kit is marked as 80 of 400. 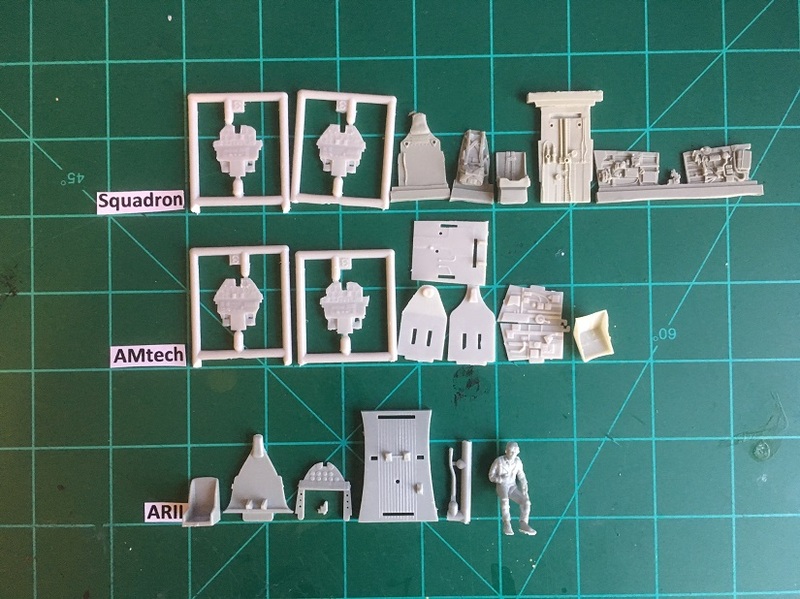 I recently picked up their recent release of the T-6 Texan dual kit which is actually the Academy sprues with new decals. Robbie, my Squadron is actually 94 of 400. The photo I posted was garnered from Google while looking for other P-40 photos. I think that OTAKI traveled the world with their molds and other kit companies did their signature or retooling. 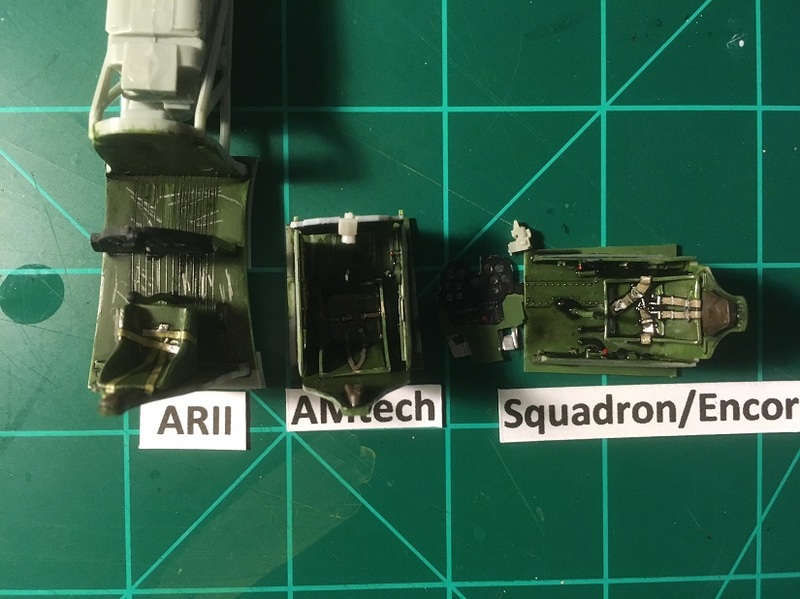 The following photos show the progression of all three cockpits. 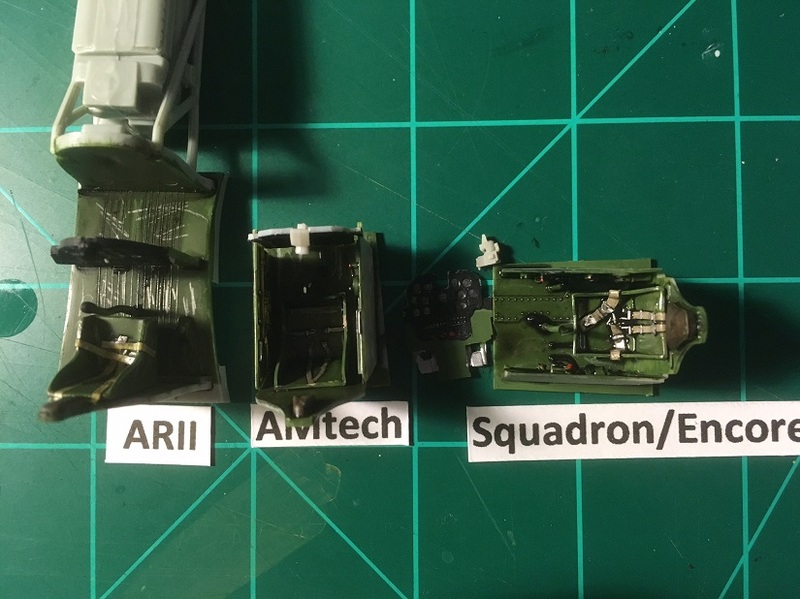 First a shot of the instructions then all parts followed by each cockpit assembly and finally paint and wash. 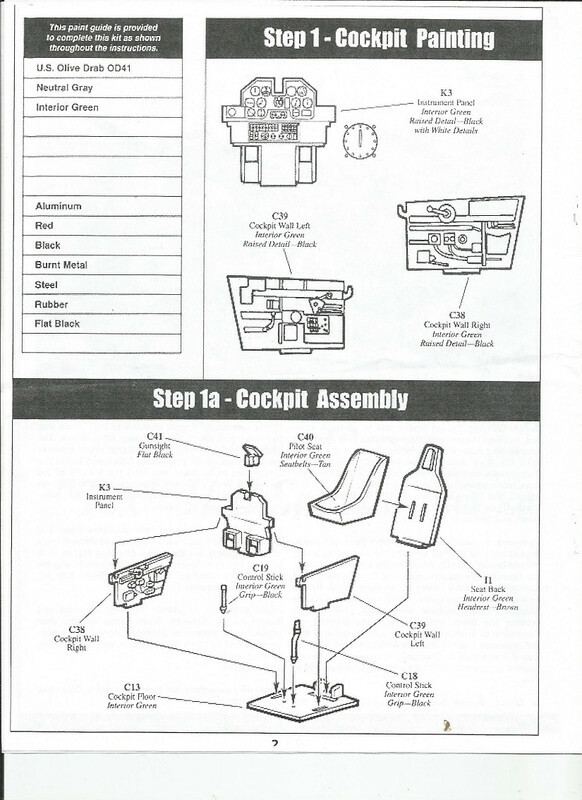 The Encore cockpit instrument panel will be attached to the fuselage once it has been glued together then the cockpit will be attached to the area following the drying of the instrument panel. OTAKI: very simple cockpit and seatbelts were made of Tamiya tape were attached to the seat. 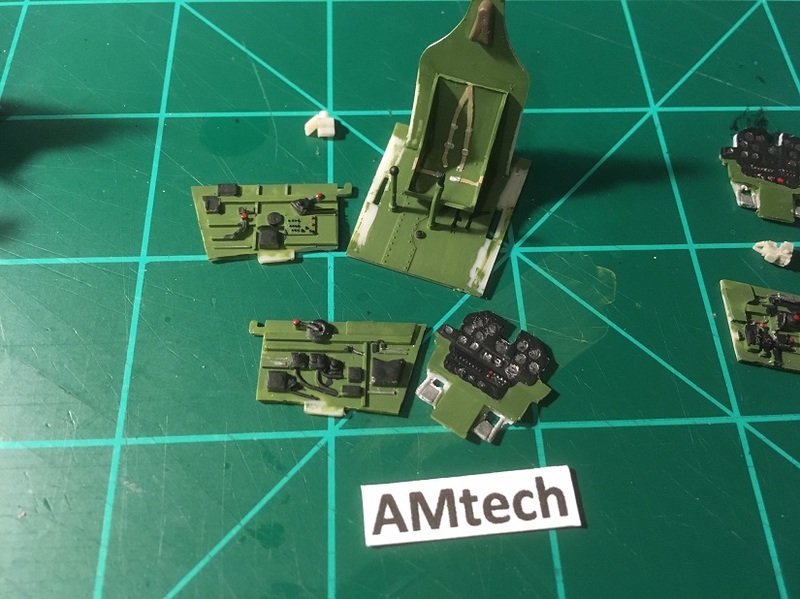 AMtech: the cockpit is plastic, but has much more detail than the OTAKI. Seatbelts are molded into the seat. Instrument panel was painted black and the dials were made using a silver PRISMACOLOR pencil. 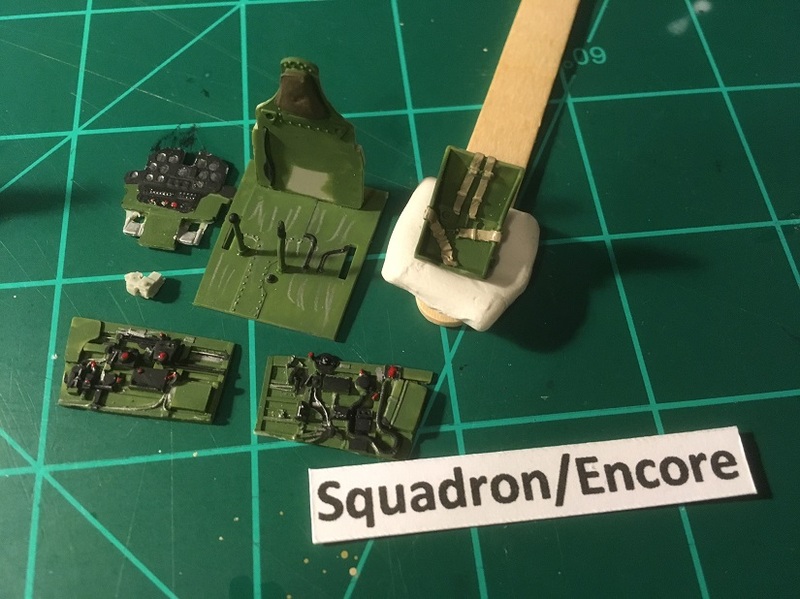 SQUADRON/ENCORE: this cockpit is the same as the AMtech, but comes with resin floor, seat, back, side walls, and gunsight. I did not use the floor since it was so warped. The last photo was taken with a flash since the photo of the cockpit before was too dark. Good work Bob. Any special tricks on the tape seat belts? Mark, I got the idea from someone else here a few years ago. Not much of a trick. Just put some Tamiya tape on your cutting board then with a steel/aluminum ruler cut the width needed and play at taping to the seat in a manner that leaves folds and paint some silver where the buckles and adjustment pieces should be. After a little wash it looks great. 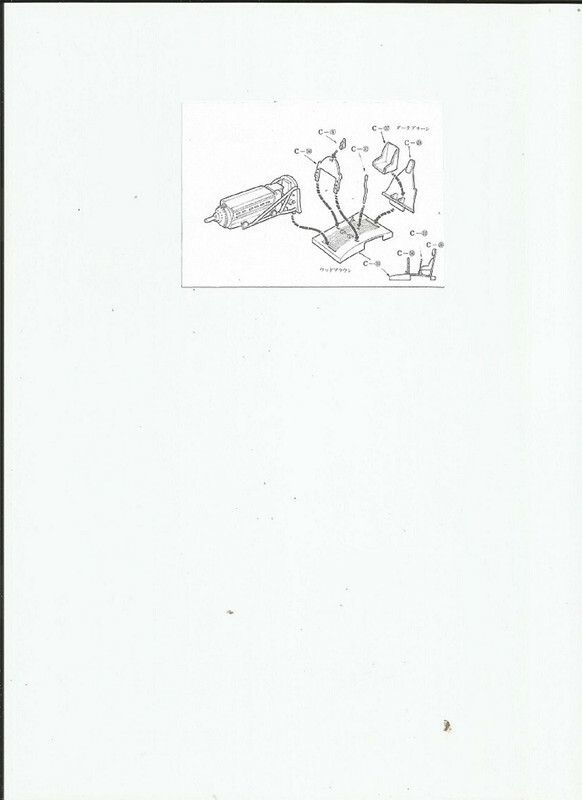 Each kit gave the option to view the engine by leaving one or both exhaust covers off. 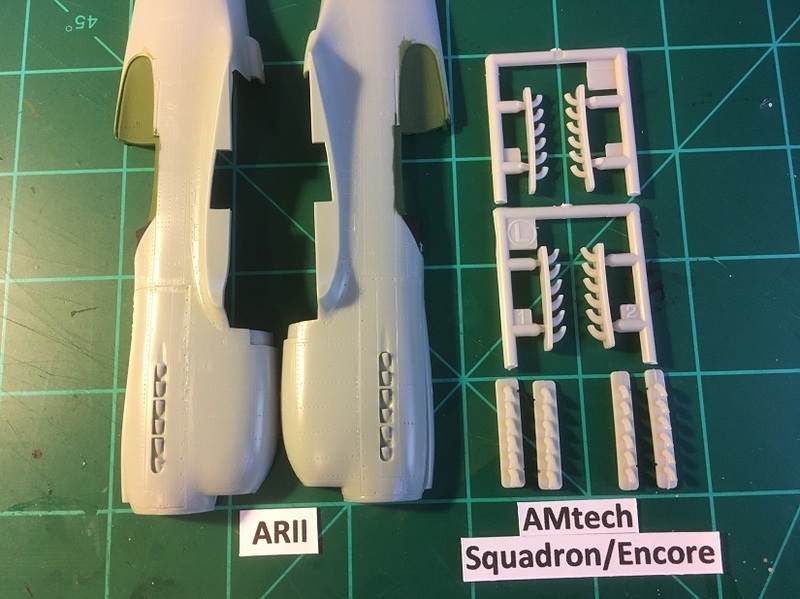 I plan on keeping it buttoned up since the AMtech and Squadron/Encore did not come with an engine. All (3) fuselage engine covers are pretty much the same. 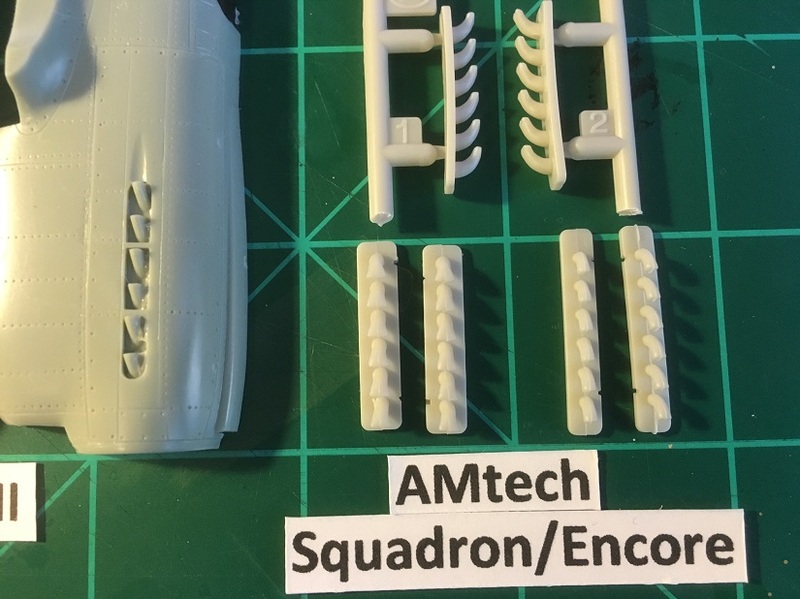 AMtech and Squadron/Encore give the builder an option of engine cover styles, one with a dimple behind the exhaust (the most common) and one without. I will go with the former. I had to add a piece of card stock inside the fuselage of the Squadron/Encore fuse to keep the engine cover firm in place and as careful as I tried to attach the covers they would not blend without some gap so I will use Liquitex modeling paste to fill in those gaps hopefully without any aggressive sanding just some alcohol and cotton swab to remove the excess paste. OTAKI comes with a very simple exhaust, but after installed it’s not bad. I plan on drilling out the ends to give it a more realistic appearance. AMtech and Squadron/Encore gives the builder (2) options for exhaust, flared or called fishtail (the most common) the other just a stove pipe shaped exhaust. I have researched the AMtech for markings and will use the fishtail exhaust. 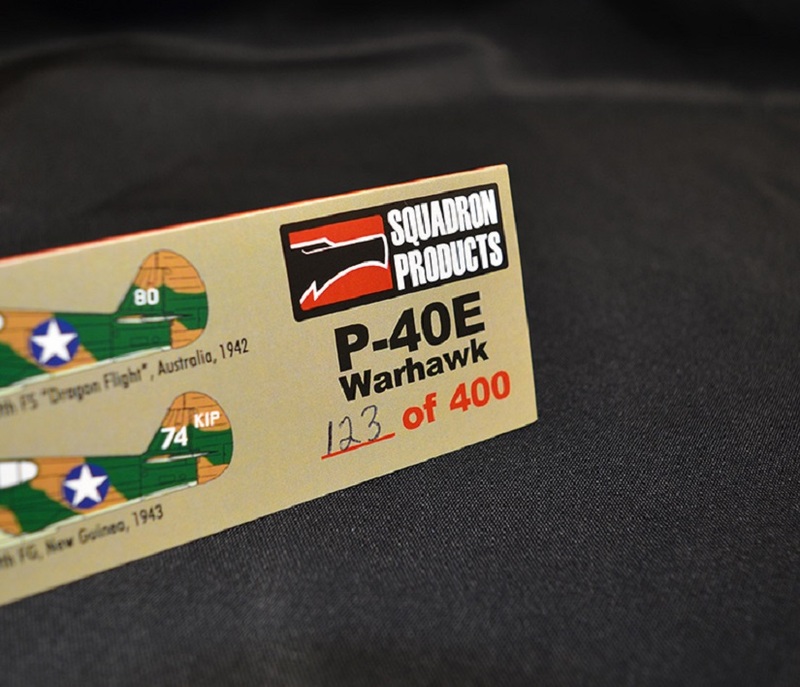 My go to data help is the Squadron Signal P-40 Warhawk In Action no. 205. Squadron/Encore: RNZAF, just waiting on confirmation. 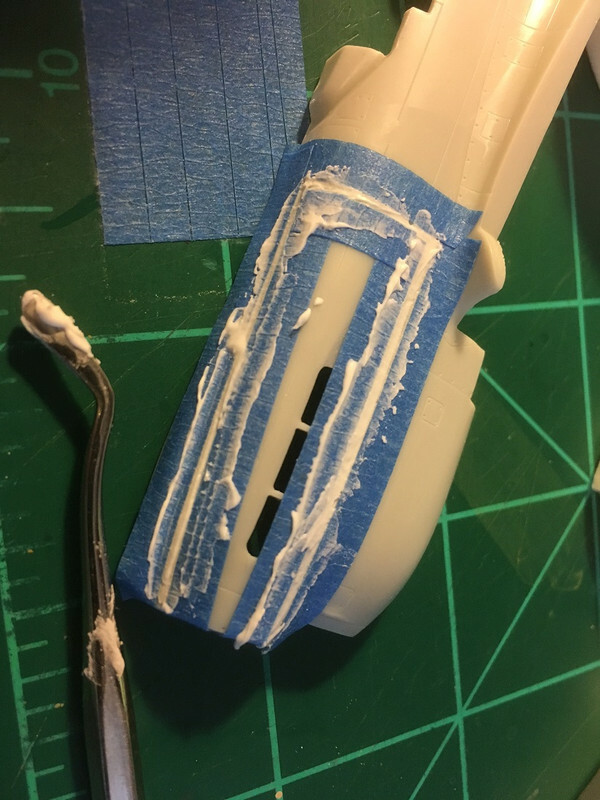 I did not like the modeling paste applied so I remove it with alcohol, let it dry then use some painters tape to help keep the paste to a minimum. After it dries I will use some 600 wet and dry sand paper to help the cracks blend into the fuselage. 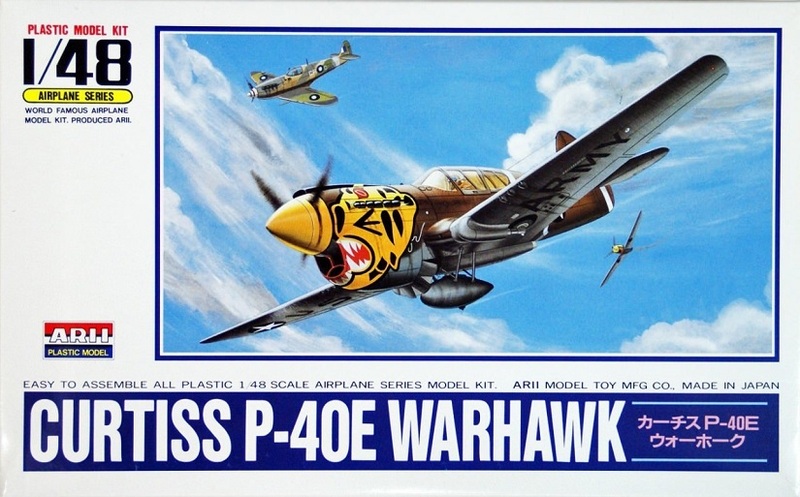 Chris, I have been googling for RNZAF P-40E color schemes and came across this one that I like, or have you a favorite? I have been running into several problems with the fuselage assembly now. 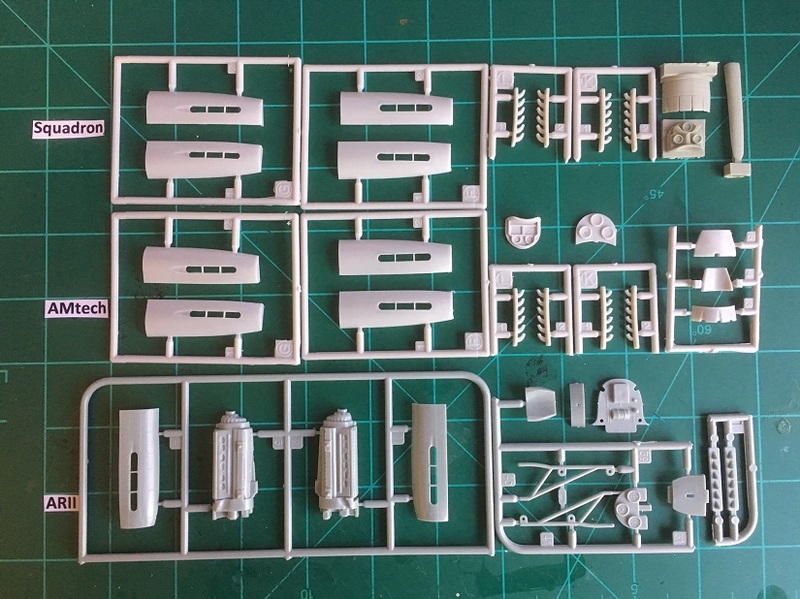 The chin radiators have been a problem with fitting into each kits place so a lot of dry fitting is needed before glue application is recommended. Otaki’s part fit the easiest, but that is not saying much. AMtech’s kit chin radiator parts were destroyed by holding too firmly and were replicated by using some thin plastic sheet. 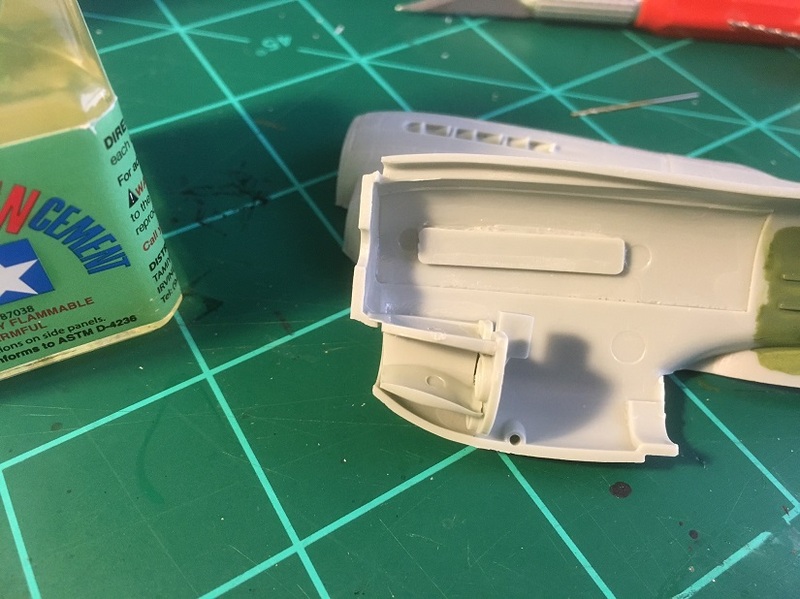 Encore’s resin chin radiator was the hardest yet, I almost destroyed the fine detail removing the excess resin from the piece. Holding the piece in place to apply some CA was for me almost impossible. I am not left handed at all, but finally got the piece to lay at the proper angle and apply the CA. 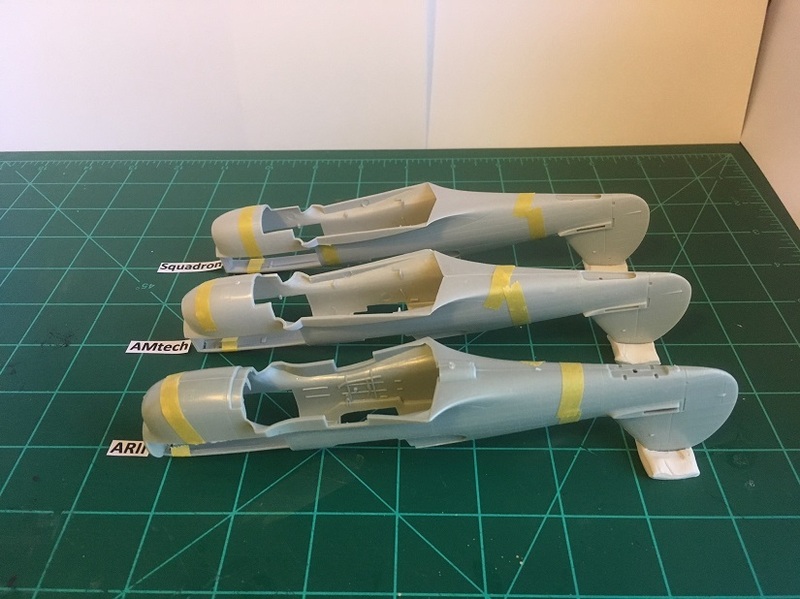 After the radiator pieces were installed I finally assembled the fuselage halves together. The easy part was installing the cockpit after the fuselages were together by dropping them into place. 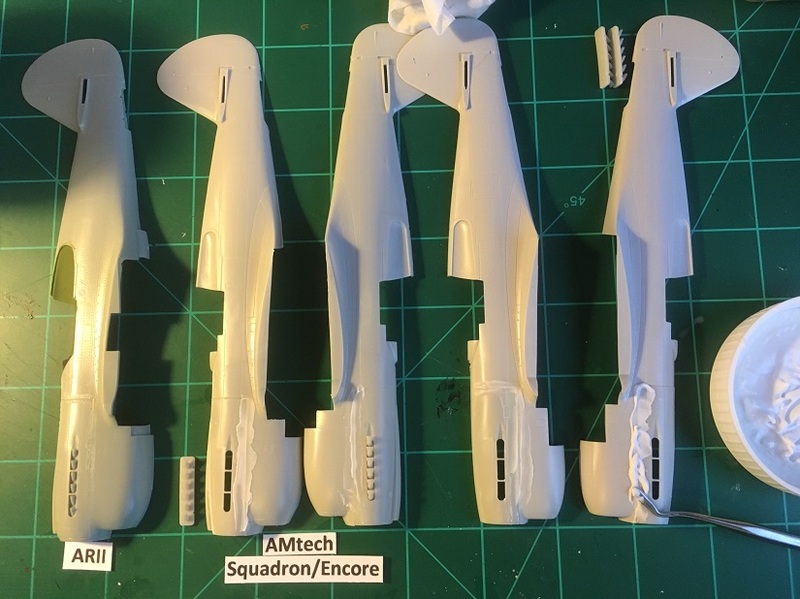 Here is where the different types of plastic OTAKI, AMTECH, ENCORE, brought to front how heavy handed I am with the glue. The seams were pretty much cleaned up by using the back of an Xacto blade. 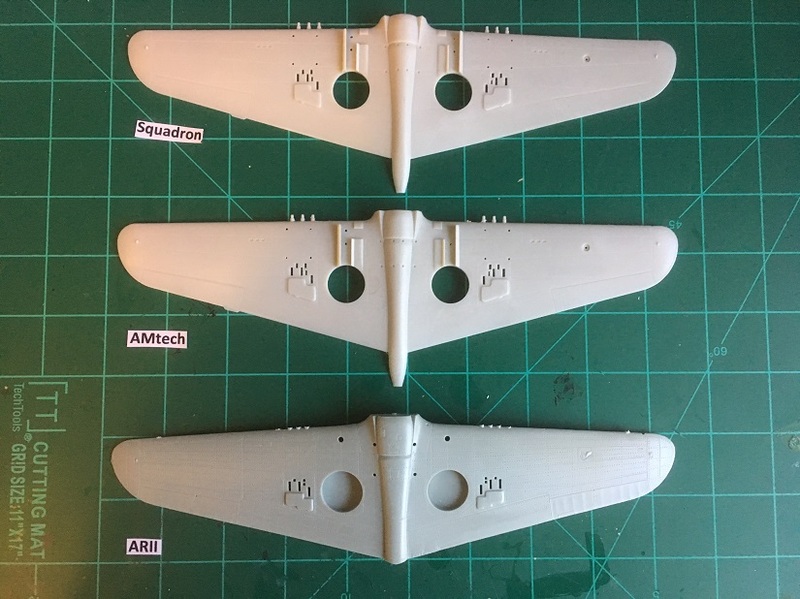 Mark, I went trough the photos and ordered a 24" x 24" photo cube so maybe I will be able to take better photos of the finished P-40's. You are the man! 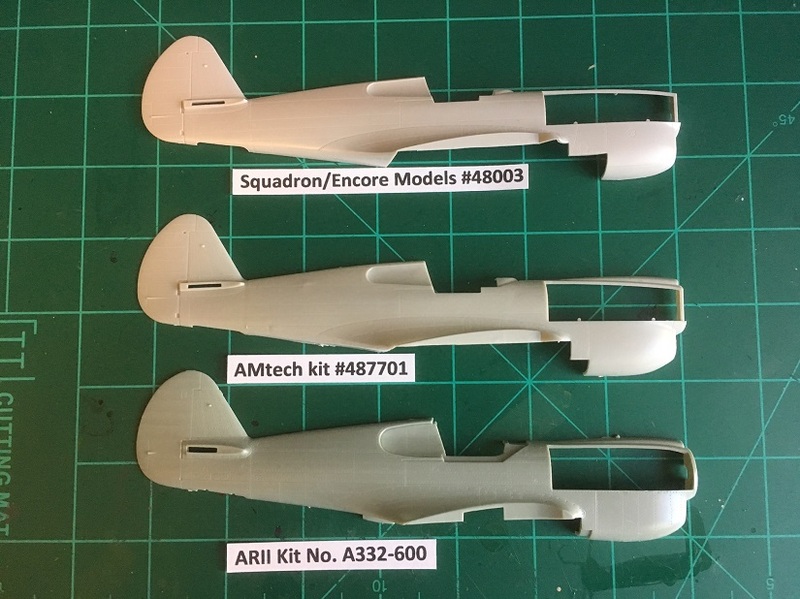 Any builds of P-40s have my interest and this comparison is great. 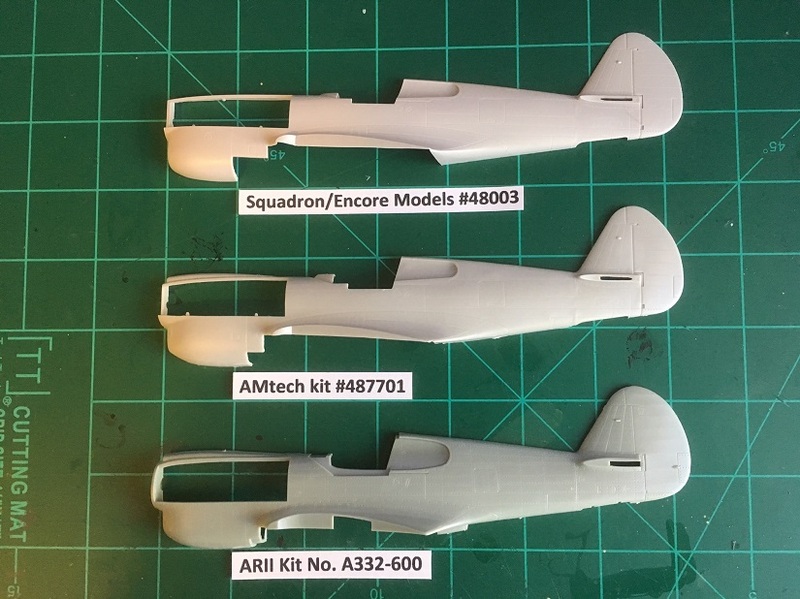 ...all three kits are decedents of the 1974 OTAKI tooling. Little historical nitpick. Otaki is a standalone effort. Neither of the other models are related to it. 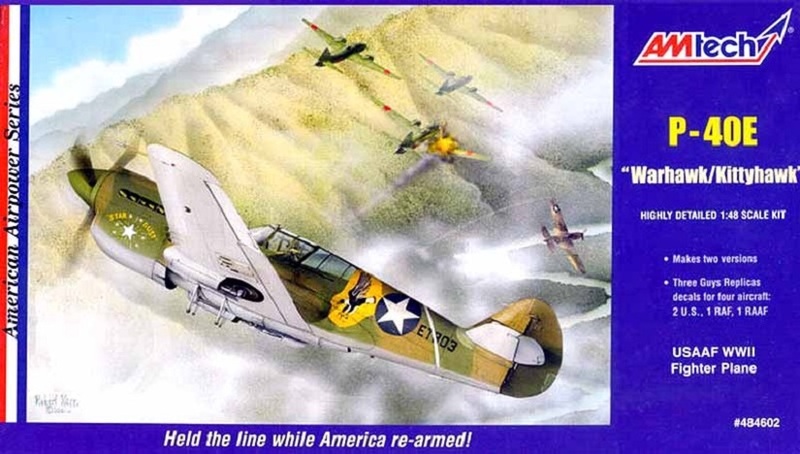 Neither are the late 1970s 1/48 P-40E that Revell put out. 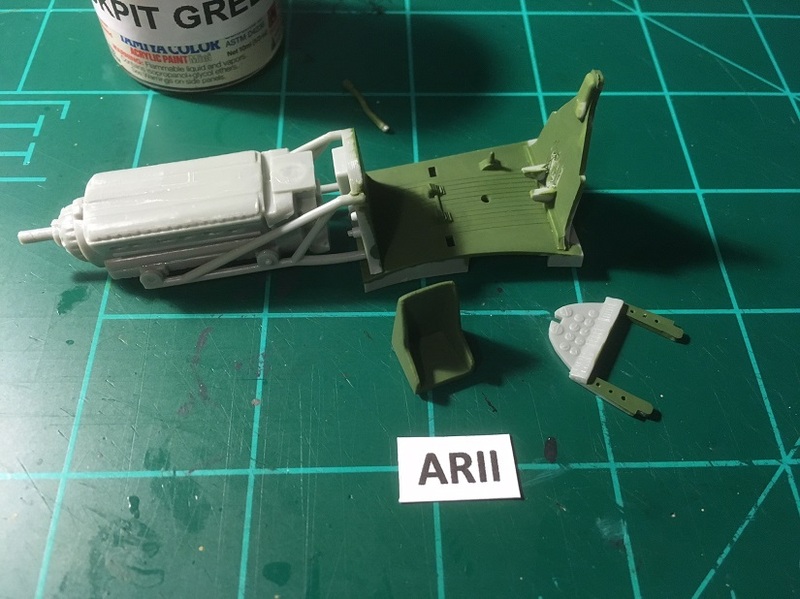 Arii took the Otaki models so it is the exact kit as the 1974 Otaki. 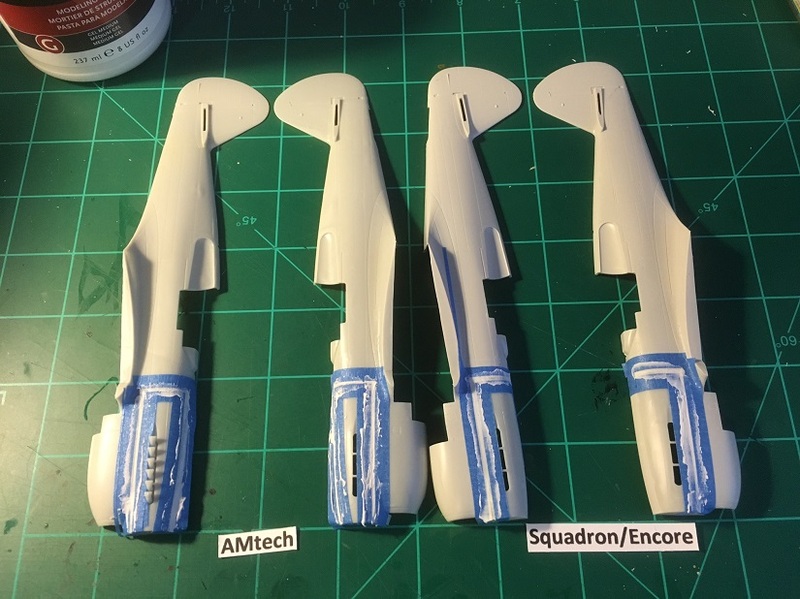 I am 99% certain that the Squadron Encore kit is the AMT model. 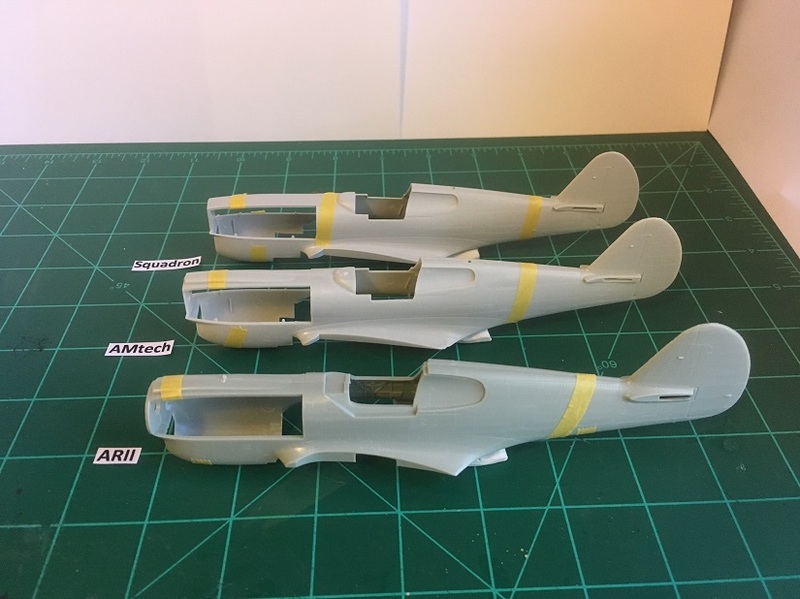 Never built their E but it looks to be very familiar to their P-40F. 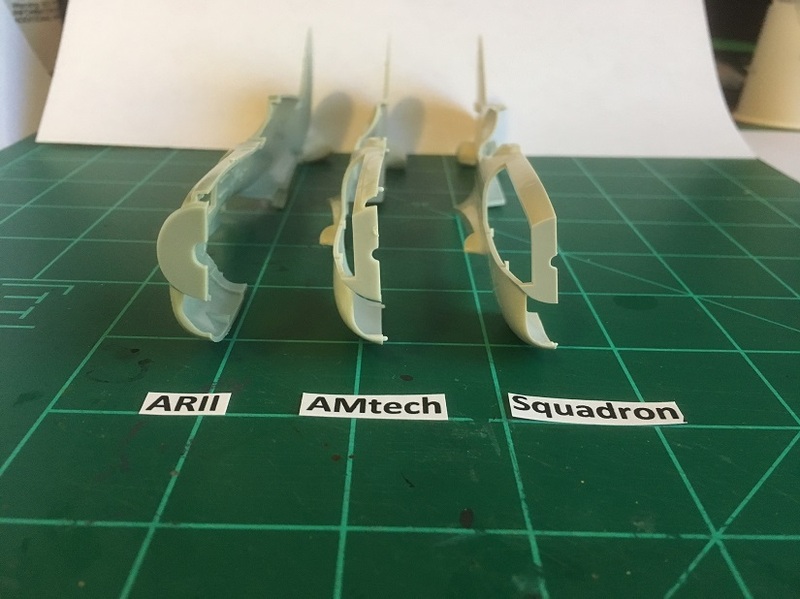 IIRC, the Otaki/Arii is very good in planform and profile and are slightly better than the much newer kits bu AMT in some regards: their rear canopy cutouts are superior to AMT's, which are too shallow; the horizontal stabilizers are better positioned reference the vertical stab. 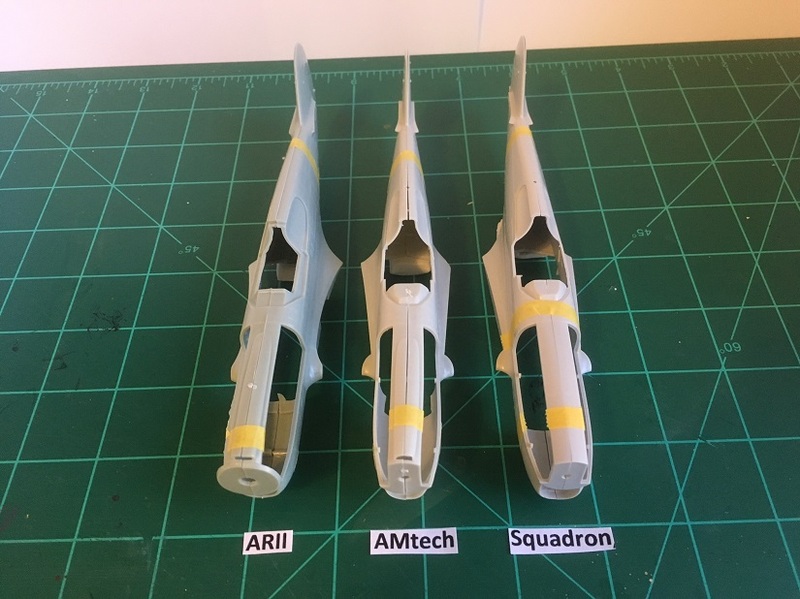 But Arii's fuselage is too narrow. Regardless, both/all build into good looking Es. I am stoked to what your progress.